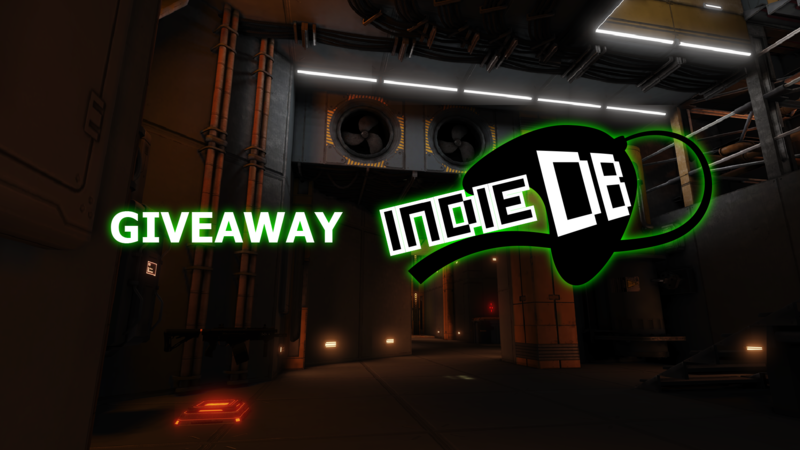 3v3 Instagib CTF: July 29, 2018, 8:00 pm. 1v1 Normal Weapons: August 05, 2018, 8:00 pm.
? 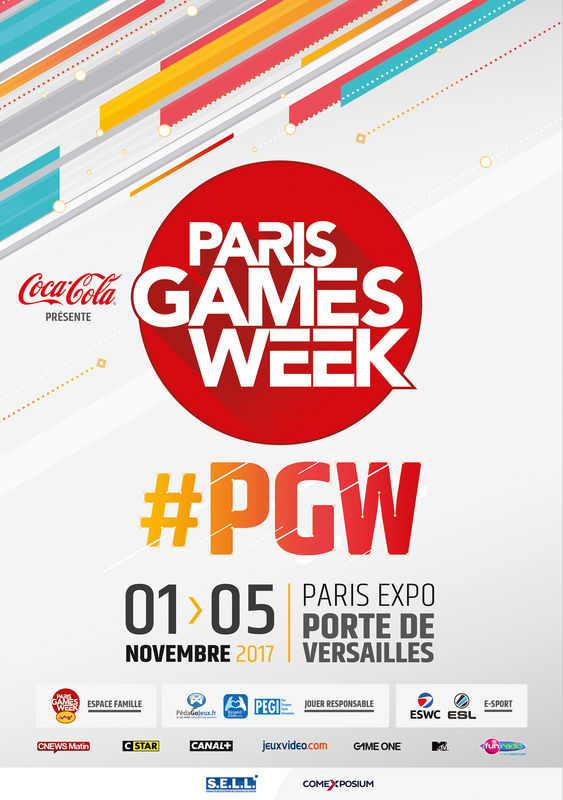 Win Early Access Keys ? 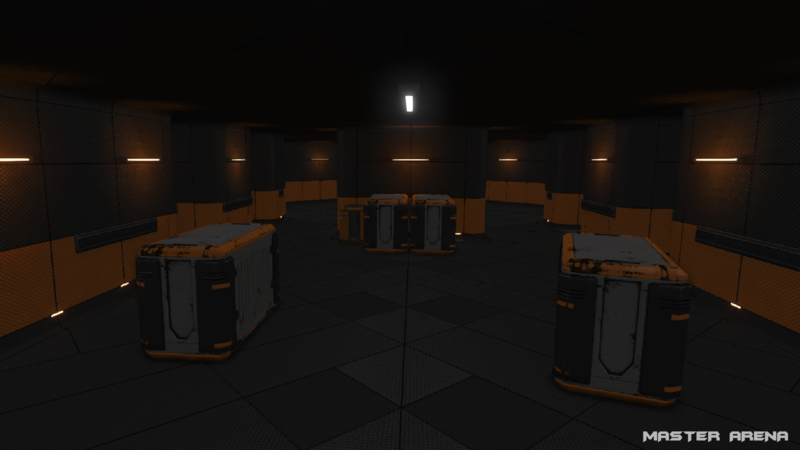 You don’t have access to the game => Join us on Discord and ask for a key. A new update is available. Check below to see what’s new in the game! 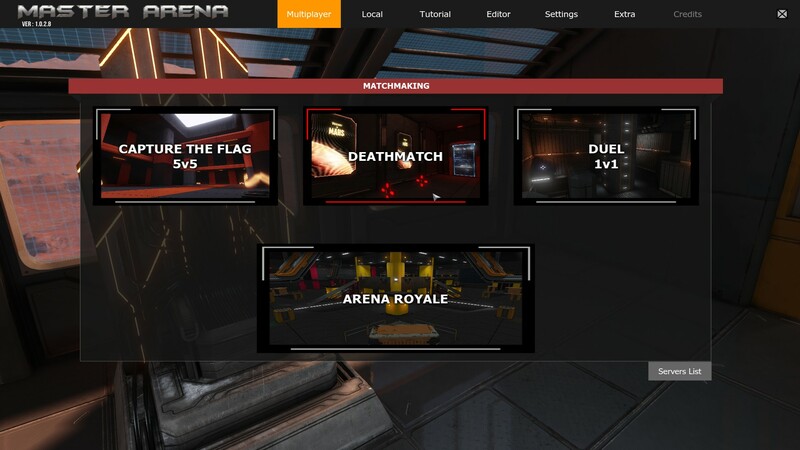 In the testing phase last week, we release the first version of our matchmaking. Basically, you just have to click on your favorite game mode and let’s go! So now you can dodge, wall-dodge, bounce, jump and super jump! While wall-dodge reloads your boost gauge, a simple dodge consumes it by 40 %! At the first spawn, a player only has the melee weapon. 8 frags: unlock Grenade Launcher. 10 frags: unlock Rocket Launcher. 2 deaths without frag: unlock Plasma. 4 deaths with less than 2 frags: unlock Electrogun. 6 deaths with less than 3 frags: unlock SMG. When a weapon is unlocked, you respawn with it. 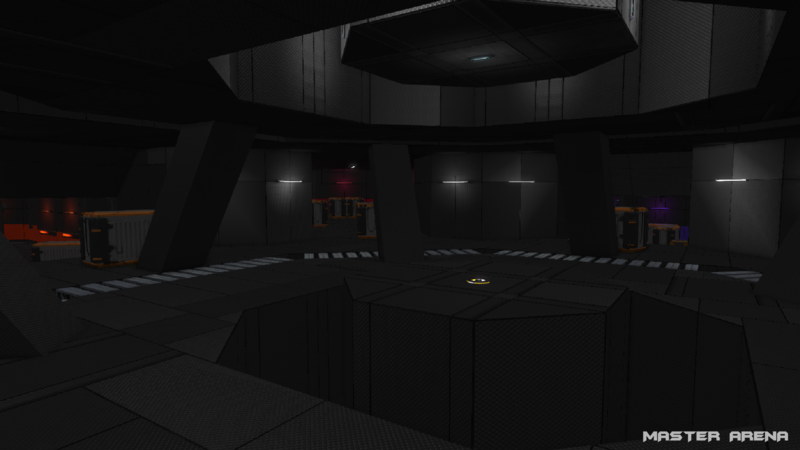 Isotropic is a new Arena Royale map, smaller than AK-PlayGround, it will be perfect for close combat! DM-BlutArena: some heal pickup added. Rocket launcher: Damage radius up to 850 (750). North America servers are now available! We are starting this month with our first update. So let’s see what is going to change. Team Announcer: Now announces Blue/Red team instead of Alpha/Omega team. Electrogun removed from spawn default inventory. Electrogun: Ammo up to 40. SMG: Ammo up to 50. Server connection failed: addition of an error feedback window (wrong password, server full, game not up to date, etc.). 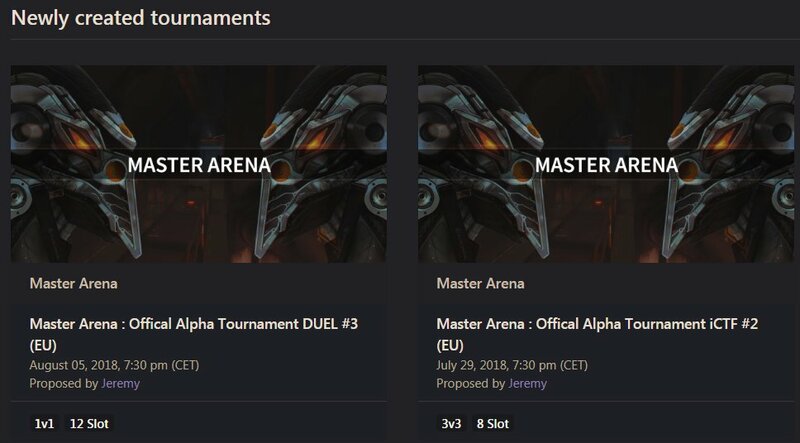 Server player’s slots management: A spectator is no longer counted as an active player on the server master list. Player Physic asset collision: New collision definition to prevent some hitbox problems. Player Color: New strategy. We replaced Alpha & Omega with Red & Blue Team. Global sounds attenuation reviewed (fire/impact/explosion). 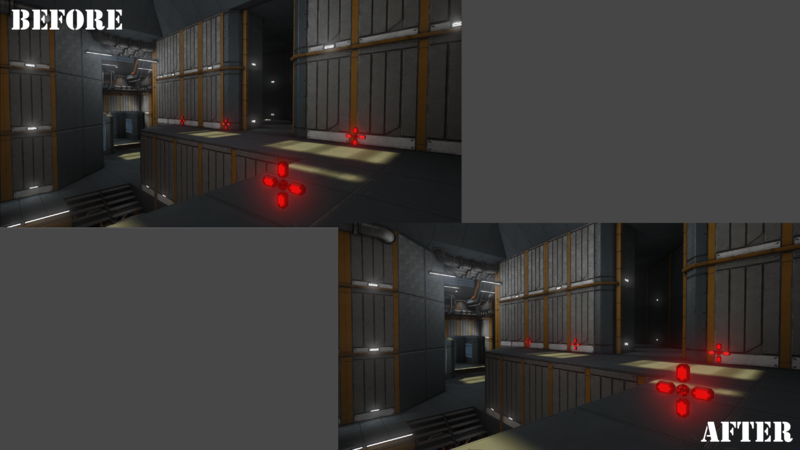 Reverb added for some weapons firing sounds. 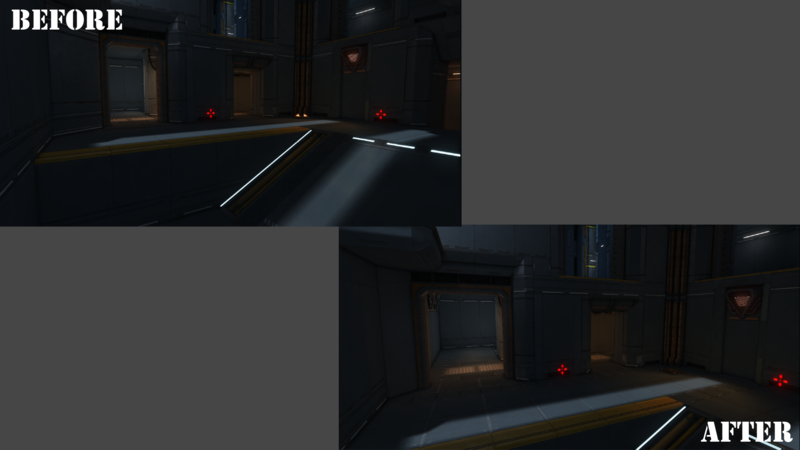 >> Correction of footsteps sounds. It’s time for the 2nd part of this month’s update. Well, let’s get started! Check our google doc to know what changes were done (damages / fire rate / etc..). Mid-Air rocket and grenade: Damages are now multiplied when you do a mid-air with a rocket or a grenade! Primary Fire: Fire Rate is about 0.132s. Secondary Fire (burst): Fire Rate is about 0.085s, fires 5 ammo and reload in 1 second. Primary Fire: Fire Rate is about 0.45. Secondary Fire (burst): Fire Rate is about 0.75s. Booth mode fires 10 shells. UI Damage Effect : Red screen intensity was adjusted. It is more present than in the last update. Now private servers are listed, you join them directly from the main menu. You can kick, ban, mute players and switch server maps! 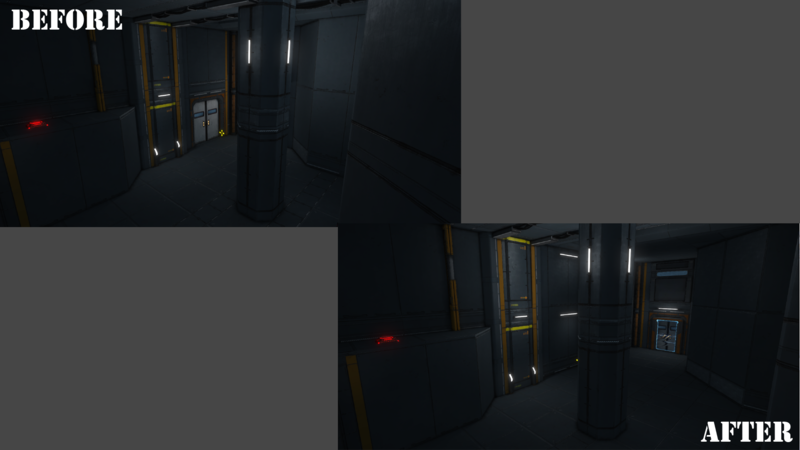 PROTO (maps in dev, can be removed or subjected to large structural modifications). 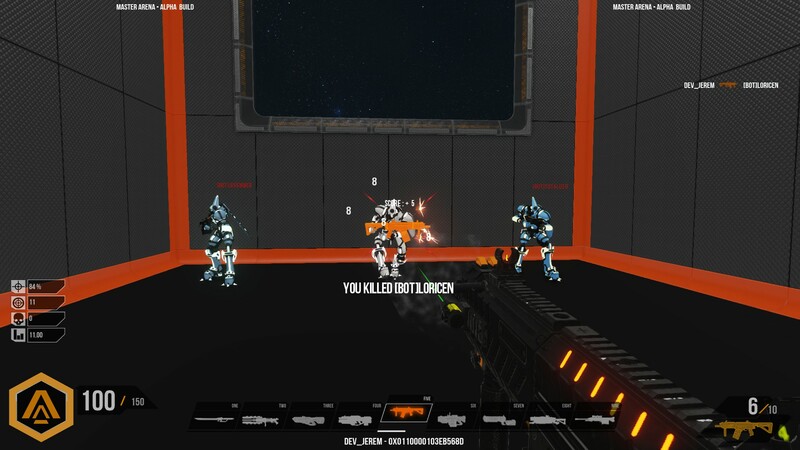 Player score and deathmatch score limit: when a player does a frag, his score is incremented by 5. In the previous version player score and player kills weren’t differentiated. Now they are! The end game is triggered by player kills and not by the score. 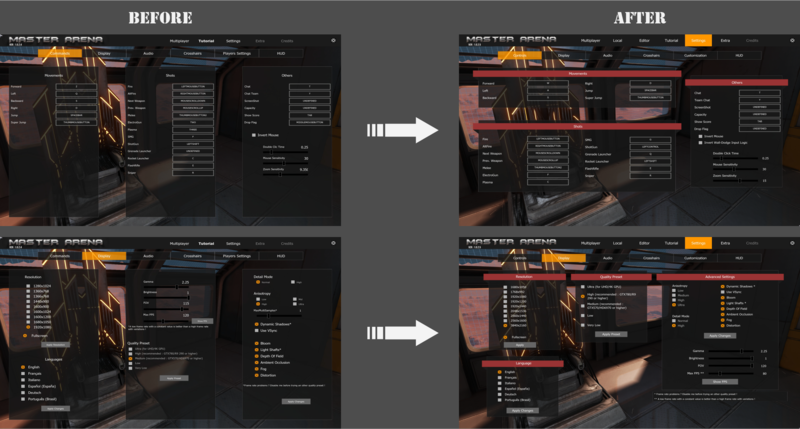 Today, the update is focused on the tutorials and the spectator view (version 1.0). 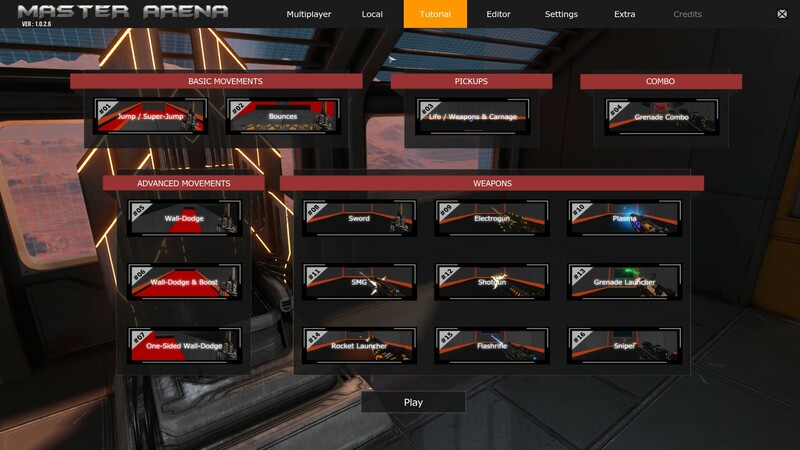 5 tutorials will help you to learn all the movements you can do in Master Arena. This is the first draft, so do not hesitate to give us your feedback about your experience. More information is now available. Seeing players through the walls. 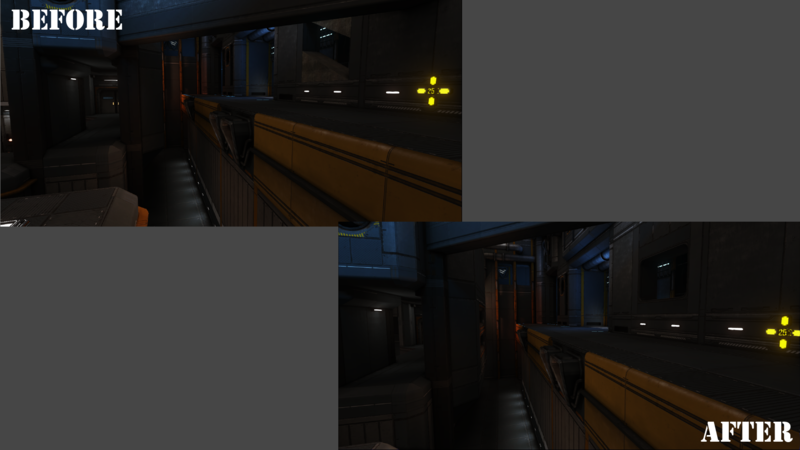 Weapon pickups: Optimization -> Textures were simplified. 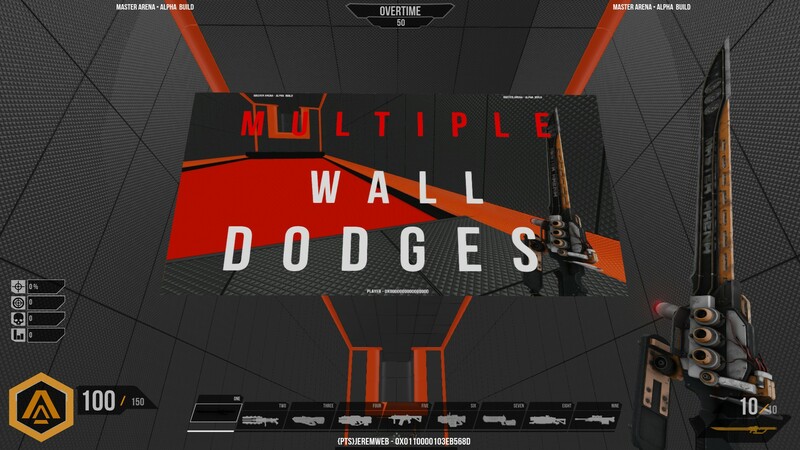 Wall-dodges: Reload 10% of the boost gauge. Movements are still a work in progress. Some values and codes will be adjusted. Please, take this into consideration. All SFX sounds have been re-integrated into Wwise. A lot of filters/attenuations and sounds volumes are still in need of adjustments. Some fixes about stuck issues. a limit max of the FPS to 145. 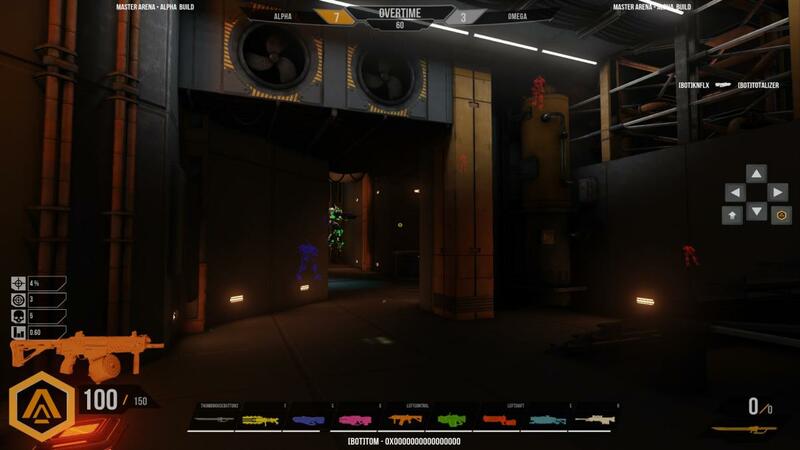 Ability to force the colors settings for DeathMatch game type. Draw Ping and packet loss. Of course, you can set it on/off as you want from the menu. Stats, achievement, and rank can be reset at any time! We are publishing this feature in order to test it outside of our circle of developers. 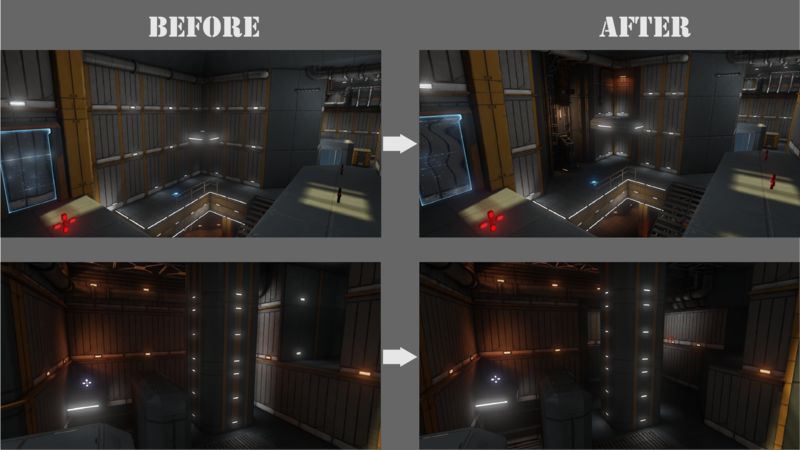 Our wish is to build an easy-to-use level editor without limiting your options for the level design. 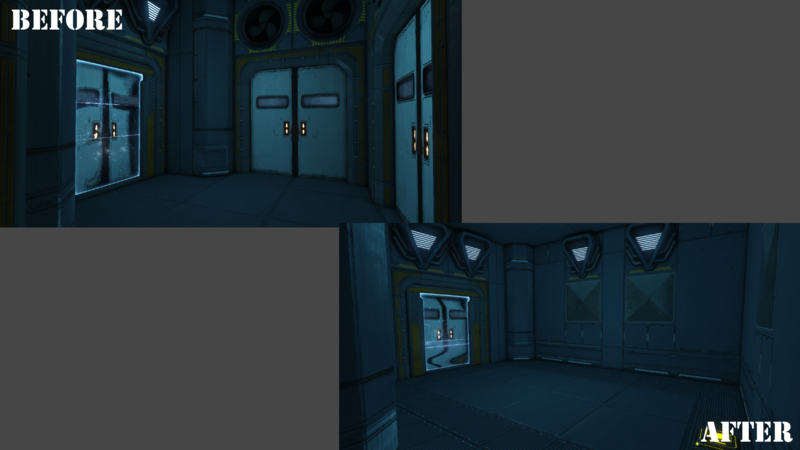 It is the reason why in this first version, there are modular meshes that you will need to put in place one by one. According to your feedback, we could develop/shift toward a system with prefabricated components. 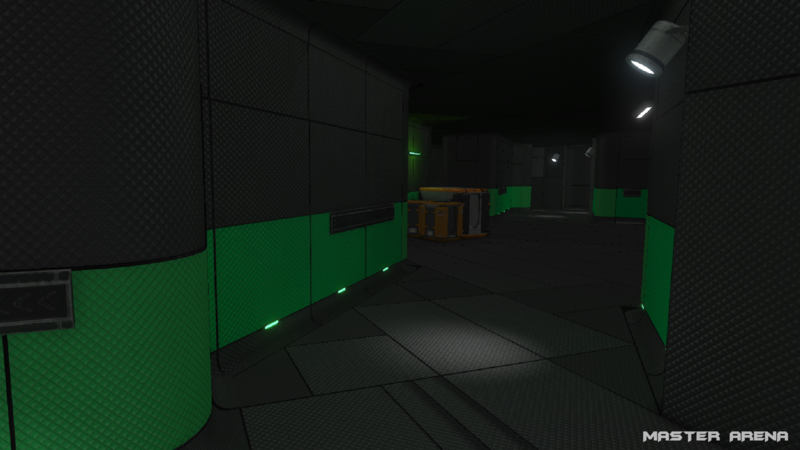 Do not hesitate to send us your maps (from the forum), we will add them to a server dedicated to your creations. 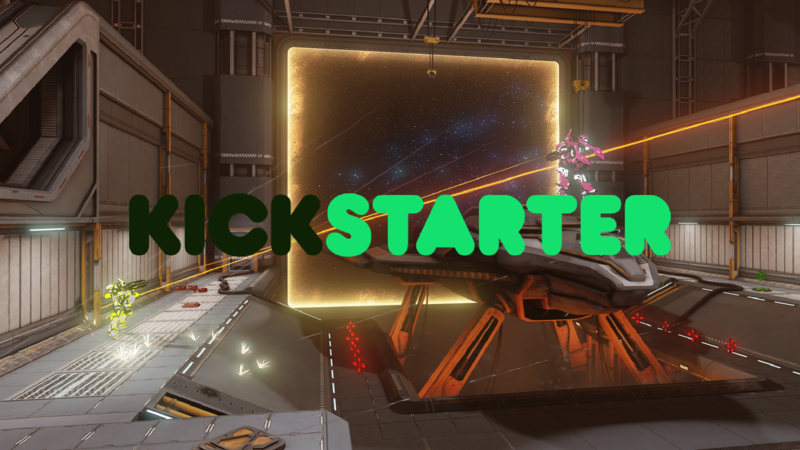 It is with pleasure that the development team informs you that we just launched our Kickstarter Campaign.